Anita Alice Hilpert, 76, passed peacefully Oct. 31, 2018. Daughter of the late Fred and Beulah Hilpert of Centralia, Wash., she was born Nov. 12, 1941. 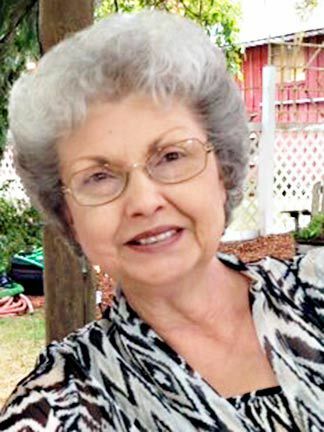 Anita grew up on the family farm and graduated from Centralia High School in 1959. Her first career was in nursing, then later, as a successful business woman owning A Glass Enterprise in Centralia. She dearly loved her family, friends and centered her life around her children. Flowers, gardening and family gatherings (especially holidays) were some of her greatest joys. She is survived by her sons, Curt (Jennifer) Ivie, Keith (Diane) Ivie and Joel (Jennifer) Wright; grandchildren, Nicole, Emily, Weylin and Kenny; and great-grandson, Castle; siblings, Fred (Patricia) Hilpert, Tami (Bob Marcy) Roof and Layne (Vickie) Hilpert; and many nieces and nephews. A memorial service will be at Newell-Hoerling’s Mortuary, Centralia, Wash., Dec. 1, 2018, at 9:30 a.m. A celebration of life to follow at Fords Prairie Grange at 12:30 p.m.